Kulyat e Iqbal Poetry of Allama Muhammad Iqbal in Urdu pdf. 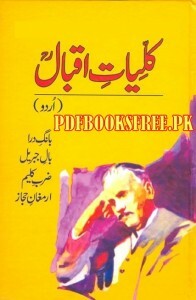 Kuliyat e Iqbal book is a collection of 4 top poetry books of Allama Muhammad Iqbal in Urdu language. Four books in one pdf. Visit the following links to read online and also download complete Kulliyat e Iqbal Urdu in Pdf format for offline reading and references. please send me on my e-mail (vaqarhayder@gmail.com) i will pray for you. BEST work ……GOD BLESS U….